Hinderwell’s Beth Mead has been nominated for a pair of prestigious Professional Footballers’ Association awards. The Sunderland and England Ladies hot-shot is on the shortlist for the Young Player of the Year award and is also among the final five in the Players’ Player of the Year vote. 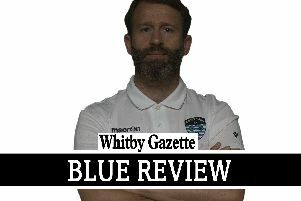 “It’s an amazing achievement for both myself and the club,” the 20-year-old told the Whitby Gazette. Mead scored 12 goals in 14 games during her debut season in the FA Women’s Super League in 2015/16, earning herself a first call-up to the full England Ladies squad in the process. A stellar campaign last time out also saw her named the Women’s Super League Players’ Player of the Year as well as the Vauxhall England Young Player of the Year. The PFA award winners will be announced on April 24.